Michael Lind casts new light on one of the most contentious episodes in American history in this controversial bestseller. In this groundgreaking reinterpretation of America's most disatrous and controversial war, Michael Lind demolishes enduring myths and put the Vietnam War in its proper context -- as part of the global conflict between the Soviet Union and the United States. Lind reveals the deep cultural divisions within the United States that made the Cold War consensus so fragile and explains how and why American public support for the war in Indochina declined. 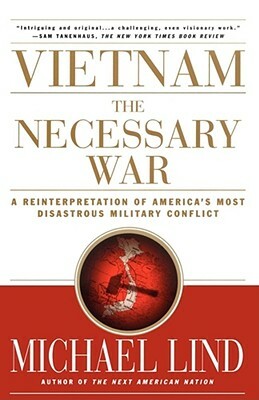 Even more stunning is his provacative argument that the United States failed in Vietnam because the military establishment did not adapt to the demands of what before 1968 had been largely a guerrilla war. In an era when the United States often finds itself embroiled in prolonged and difficult conflicts in places like Afghanistan, Kosovo, Bosnia, and Iraq, Lind offers a sobering cautionary tale to Ameicans of all political viewpoints.